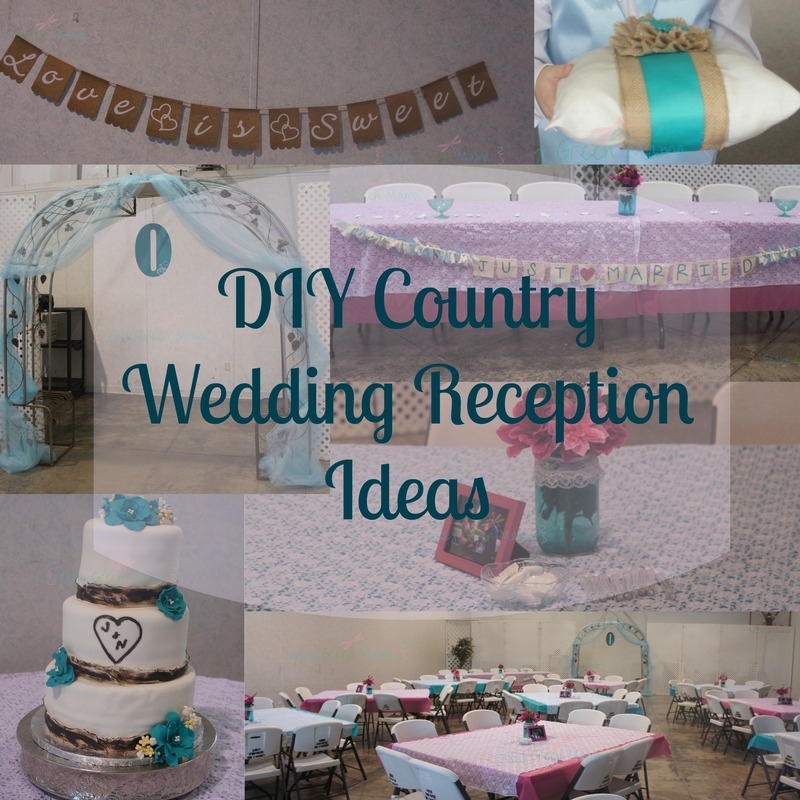 This is the second DIY Project featured from my sister’s little Country Themed Wedding! 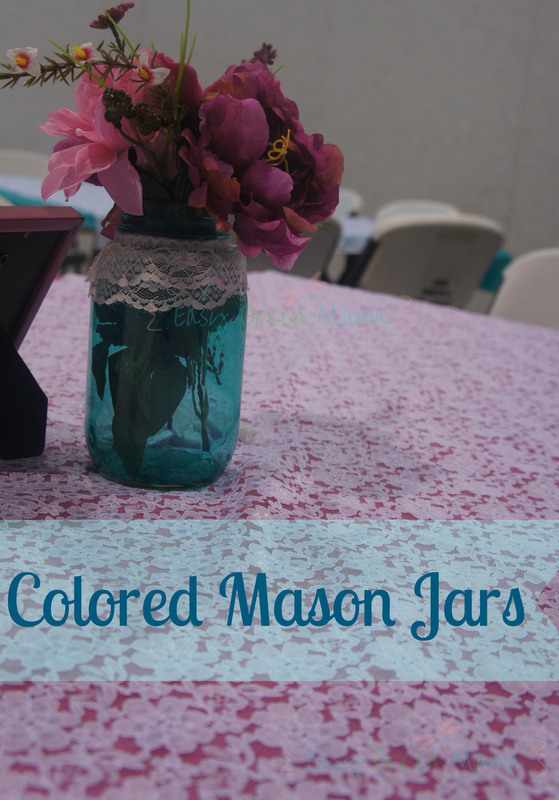 These DIY Colored Mason Jars made perfect centerpieces for her wedding reception tables! We are actually reusing these jars for my other sister’s baby shower next week! 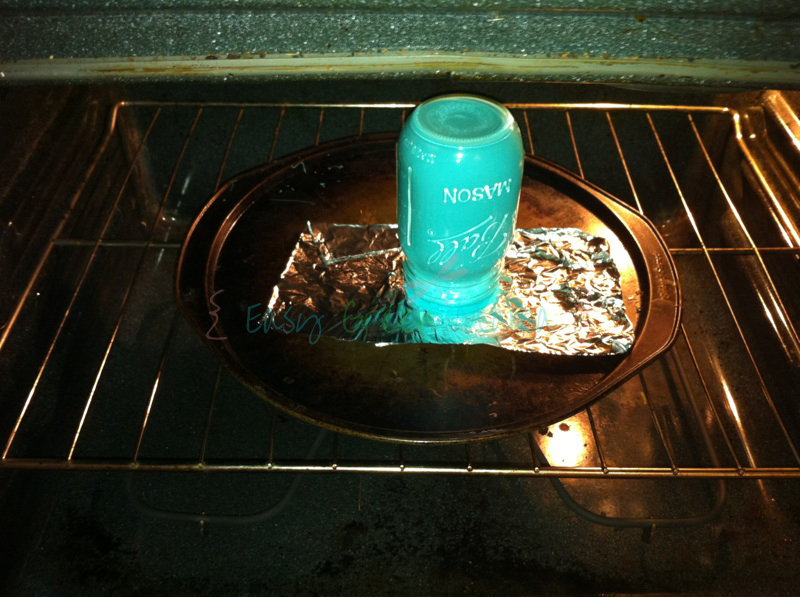 Step 1: Line baking sheet with foil paper or wax paper. Make sure to cover the whole pan because mod podge is glue so it’s hard to to get off baking sheet. We suggest using an old baking sheet not used much. 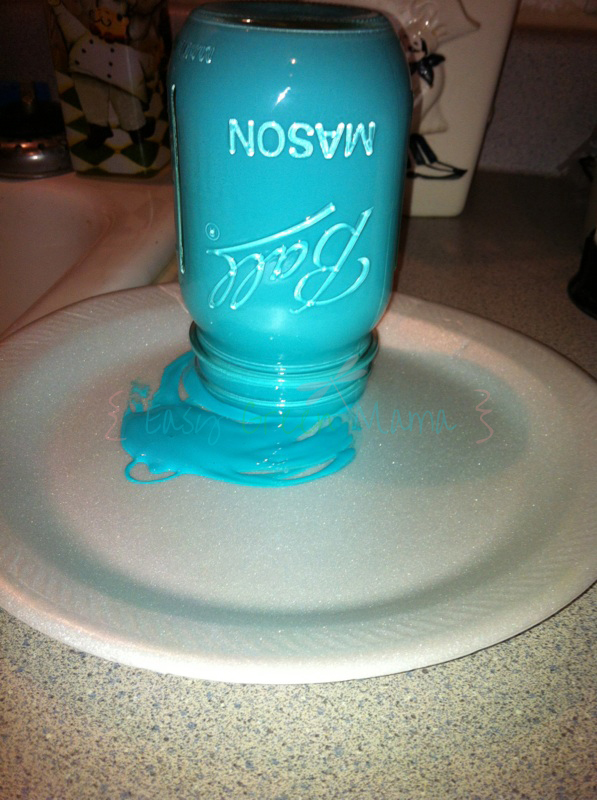 Step 2: Add recommended drops of food coloring to mod podge bottle *It’s important not to add too much food coloring or the mixture will be too thin and result in streaking. 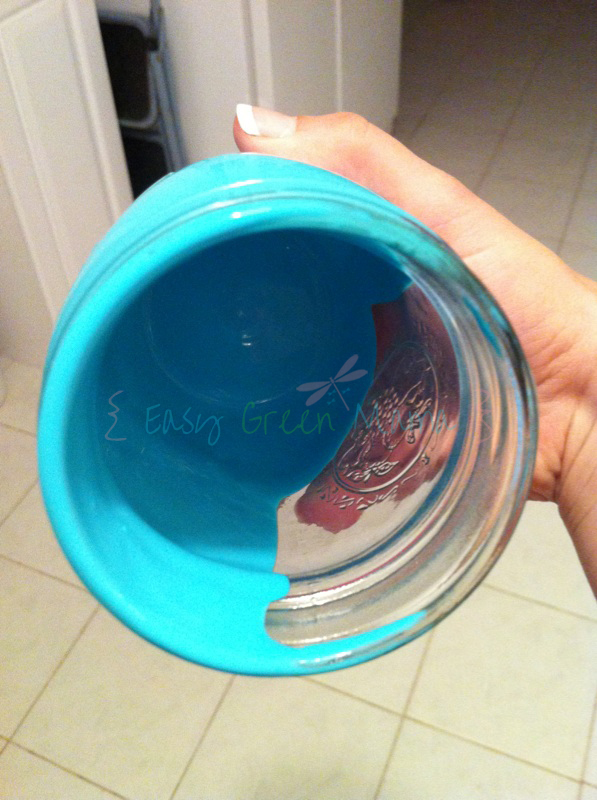 Step 3: Mix colored Mod Podge until color is mixed in and then pour into your glass jar. Step 6: After draining, carefully lift jars, re-wipe the rims and place upside down on lined baking sheet. Step 7: Place in pre-heated oven for 20 minutes or until most extra paint has drained out (it may be a lot still) then flip jar over and bake for another 20 min. 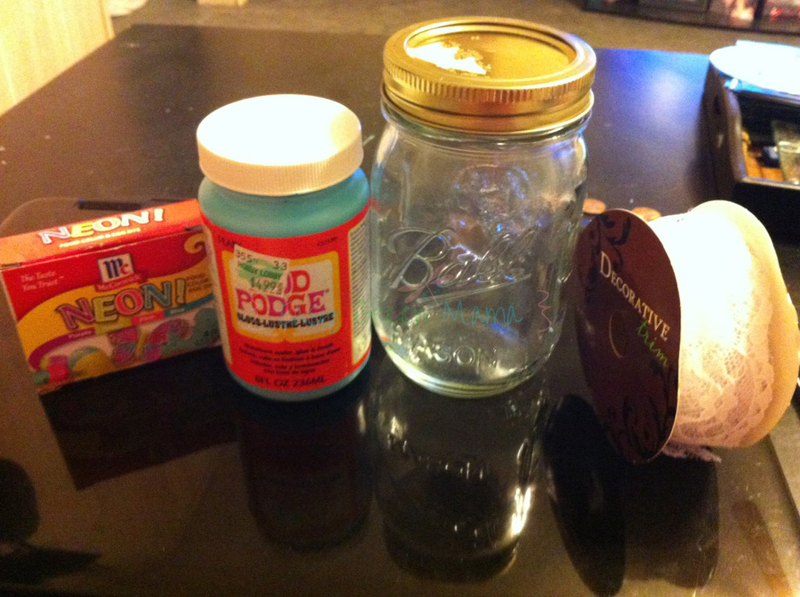 You can repeat until Mod Podge is completely dry and glass jars are transparent. Make sure to flip while baking because it will bubble up. Step 8: Remove baking sheet from oven and allow hot jars to cool completely before handling. If they do not come out right just soak in water for a few hours and the glue will peel away. *We added lace with a hot glue gun to give a little more character. How easy is that? I had no idea you could do this! Yours turned out beautifully. I’ll have to try this! I really like the lace addition. 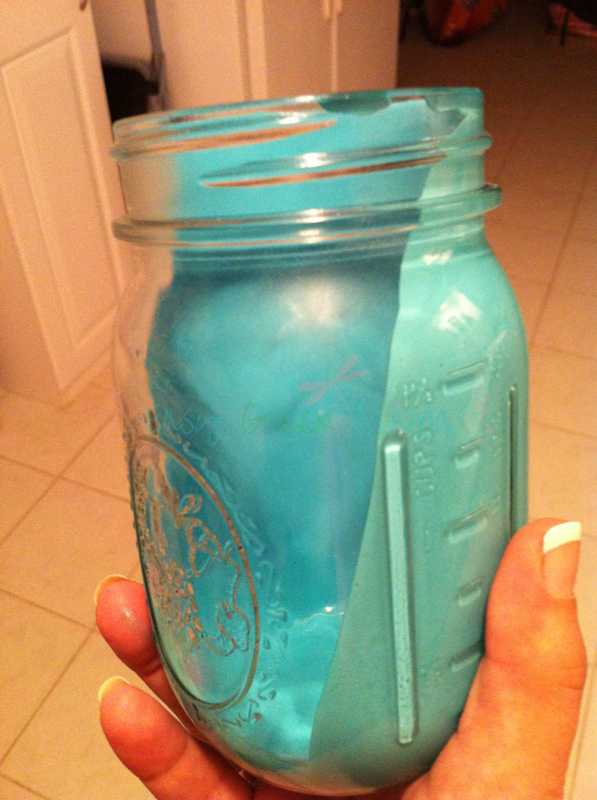 Much cuter than just a colored mason jar. Those are beautiful! Such a great idea! Thanks for sharing!